Time to check out my equipment. Give it the once-over. Inspect, make adjustments, break stuff that previously worked fine and add unnecessary stress right before the Super Bowl of Gran Fondos - The Mavic Haute Route Rockies. Rather than doing it the night before a big event like I usually do, I did it a couple of weeks out. That way there is plenty of time to go to the local shop so they can fix the stuff I tried to fix. So, I head into The Bucket Rider Service Course - a small garage closet primarily filled with various implements of destruction and death like bug killer, mouse traps, weed killer, shovels and rakes. 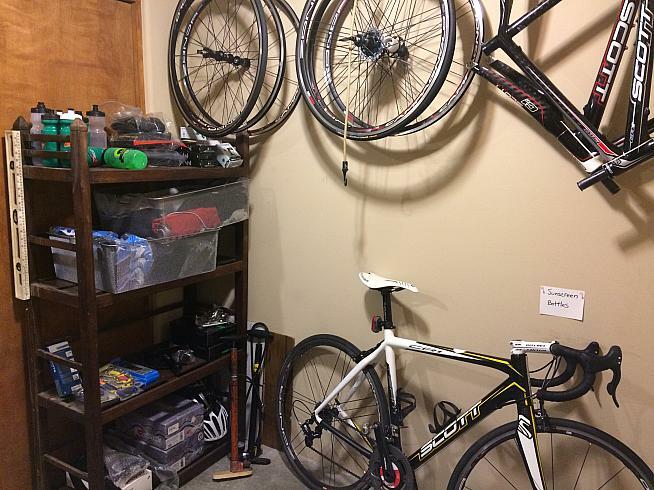 Fortunately, there is just enough room for a postage-stamp sized corner of bike stuff, stocked with enough spare inventory to support an aging faux Pro team - at least that's what my wife says. First, I inspect my shoes making sure the cleats are in good order. Of course, they are worn out, cracked and used way beyond their life expectancy. New cleats, check. 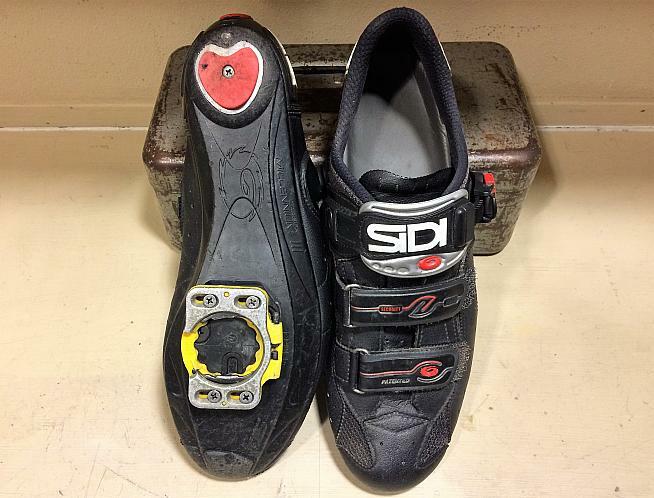 Also install new insoles and Sidi straps since the old ones are about to disintegrate. Next, I clean and check the bike, looking everything over carefully for cracks, worn/missing parts and any general issues. I prefer durable, reliable and historic over the latest, lightest and carbonest stuff. Ok, maybe I'm just cheap since I still run old-school Campagnolo 10-speed, but it still gets the job done day-in and day-out. All looks good with the bike after replacing a few worn items - tires, chain and brake pads. Starting out on fresh rubber for an event as long as the Mavic Haute Route Rockies is a must, especially considering all the epic dirt miles we'll tackle. 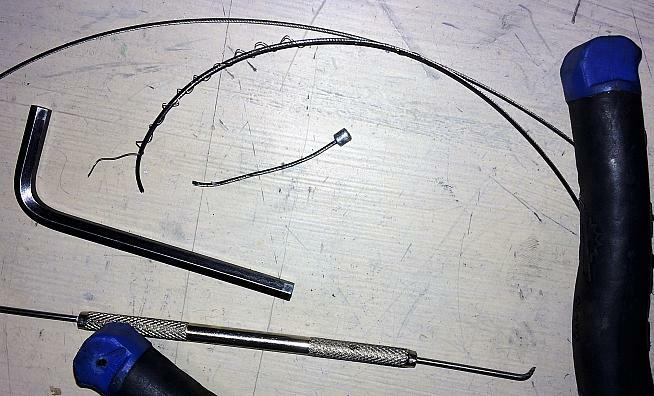 As I'm a pretty shifty guy, replacing the rear derailleur cable seems like a wise move too, just to be safe. Finally, I dig out the Official Bucket Rider Emergency Spare Parts Box to bring along. 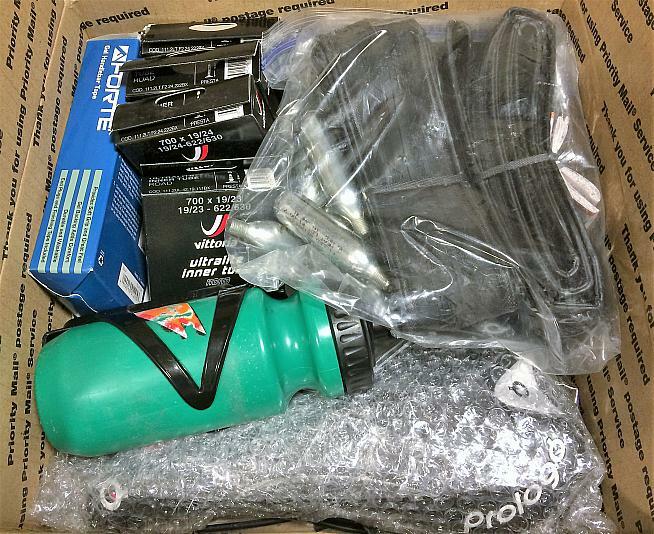 Mavic Neutral Support "will not provide spare parts" according to the race bible, so it's best to be prepared. If you trash a shifter or break a seat it's no fun running around trying to find the right parts in the middle of nowhere or being stuck with whatever the local ski/hike/bike/taxidermy shop has lying around from 1997.